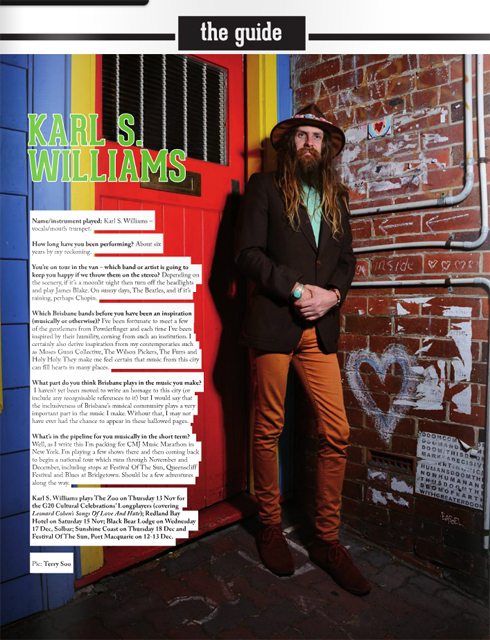 Banjo wielding vagabond Karl S Williams steps in this week for our The Music Magazine’s (Brisbane) – “The Guide” section cover shoot. 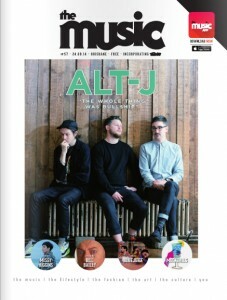 Read about them in this week’s issue of The Music (Brisbane) #061. 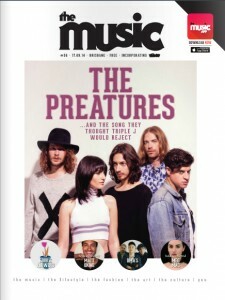 Back into it, this week we have The Jensens for our The Music Magazine’s (Brisbane) – “The Guide” section cover shoot. 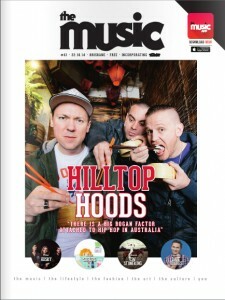 Read about them in this week’s issue of The Music (Brisbane) #060. 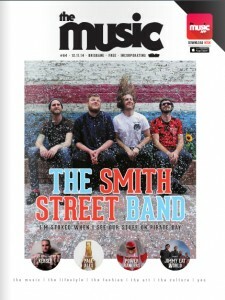 …and if you missed it, last week’s issue had our definite pick for Band name O’ the Month Cactusdemondoom. 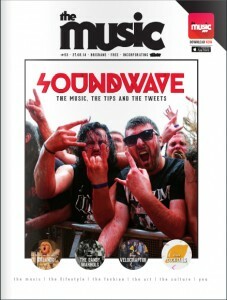 You can still read about them onine in issue #059 of The Music (Brisbane). 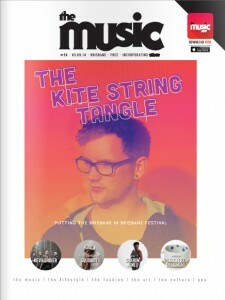 Those ionised Ruskies Soviet X-Ray Record Club share their secret handshake with us this week for our The Music Magazine’s (Brisbane) – “The Guide” section cover shoot. 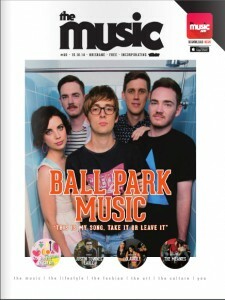 Read about them in this week’s issue of The Music (Brisbane) #057. 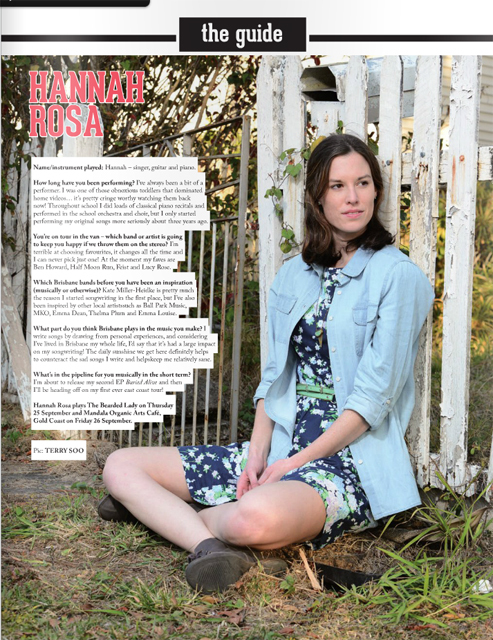 We’re back at it this week with the delightful Hannah Rosa in for our The Music Magazine’s (Brisbane) – “The Guide” section cover shoot. 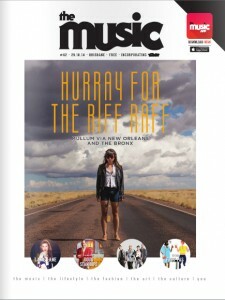 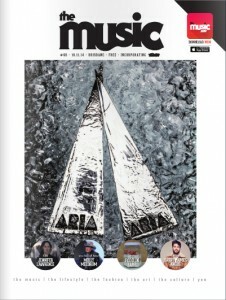 Read about her in this week’s issue of The Music (Brisbane) #056. 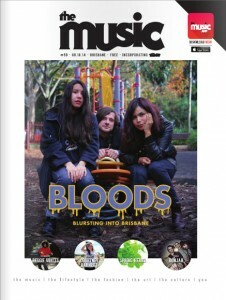 This week we catch up with The Blood Poets for a quiet one and our The Music Magazine’s (Brisbane) – “The Guide” section cover shoot. 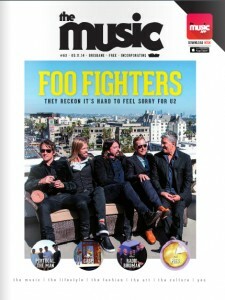 Read about them in this week’s issue of The Music (Brisbane) #054.